CARFAX 1-Owner! No Accidents! 4WD! Trailhawk! Call now for more details at 301-501-4000! We make car buying easy! We have been providing quality vehicles at value pricing since 1968. Select from financing options available to qualified buyers! We accept trade-ins! We are conveniently located just 4 miles south of Interstate 68 on Route 219 South (33728 Garrett Highway) near Accident, Maryland. Our dealership is directly across from Northern Garrett High School. We are nestled in a rural area in the picturesque mountains of Western Maryland just 7 miles from Deep Creek Lake recreation area and Wisp ski resort. We are a convenient 2 hour drive from Pittsburgh, PA and Frederick, MD and just 3 hours from Baltimore, MD and Washington, DC. Morgantown, WV is just a 35 minute drive. Call now for more details! You can also go to our website www.artbutlerauto.com for more pictures and details. 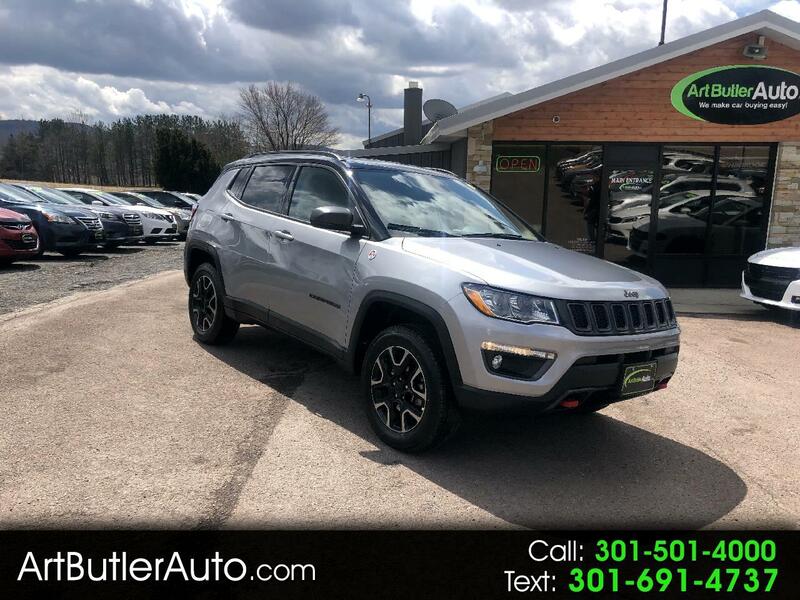 Message: Thought you might be interested in this 2019 Jeep Compass.